I have access to the executable file - I can reverse engineer it, but I cannot modify the file in any way (thus memory patching). Care to explain why? Is it protected with some tough protector like VMProtect? hook functions like NtFileCreate, but I encountered a bunch of problems. I cannot properly catch and edit the file name of the file I want to ‘redirect’. Yuck. It's a very bad idea for multiple reasons. Nt* functions use specific style of strings - UNICODE_STRING, to be exact. So, all your processing should take that into account. In short-don't hook NtFileCreate if you can. Try hooking CreateFileA/W or other top-level functions. I also experience weird anomalies when injecting my DLL – the target executable starts permanently malfunctioning until I restart my computer (message boxes won’t show, icons will disappear, clicks refuse to work, etc.). Sounds like a bad side effect of hooking. You're either clobbering some register values or stack, or memory. First, try injecting DLL that does nothing. 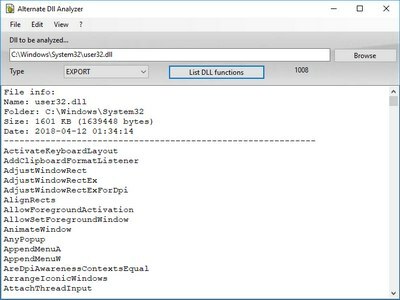 If that causes problems, your DLL or injector are flawed. Then try installing hooks that do nothing. If they work, problem is in your code. If app still behaves weird, hooks are causing the problem - try again with different hooking lib.